Whether you’re a famous country star on a national two-year, sold-out, record-setting, career-ending, farewell tour, like George Strait, or a Red Dirt musician striving daily to reach that plateau by touring local music halls and honky tonks throughout the Texas-Oklahoma region, like Stoney LaRue, it’s always a good idea to promote yourself with branded merchandise, like a custom mini guitar by AXE HEAVEN®. 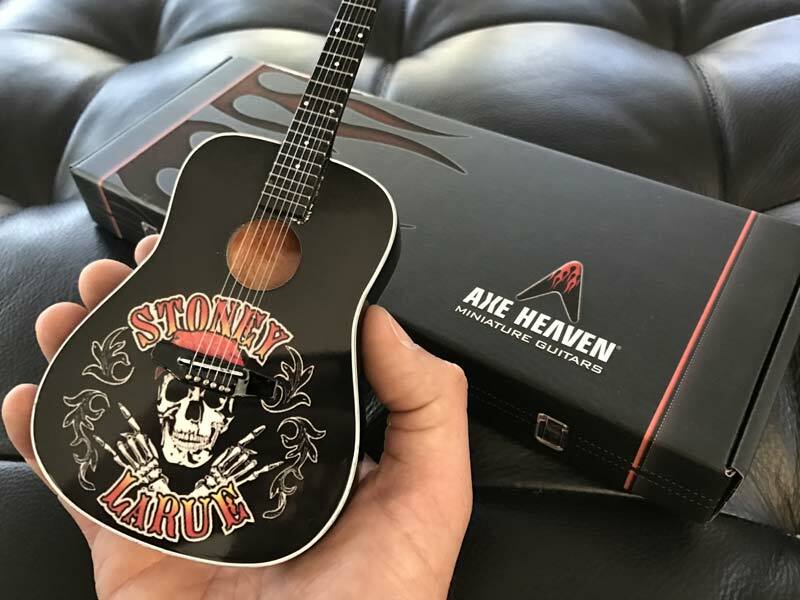 If you or your band need awesome Meet & Greet merch, a custom promo mini guitar is the perfect solution. It’s a great way to connect with fans and increase their passion and loyalty for your music, as well as to increase your revenue. 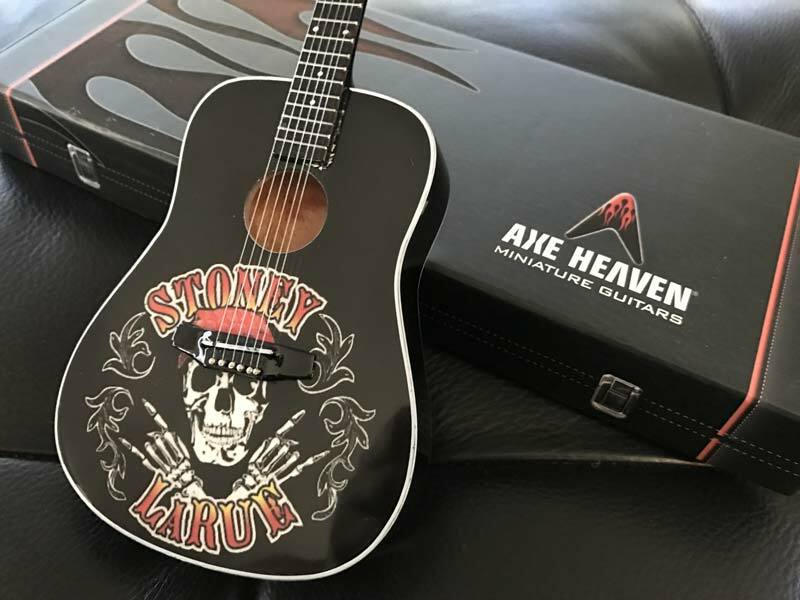 Our design staff can work with your existing art or create a custom model of your guitar. Either way, your most devoted fans will have a promotional souvenir that lasts a lifetime. 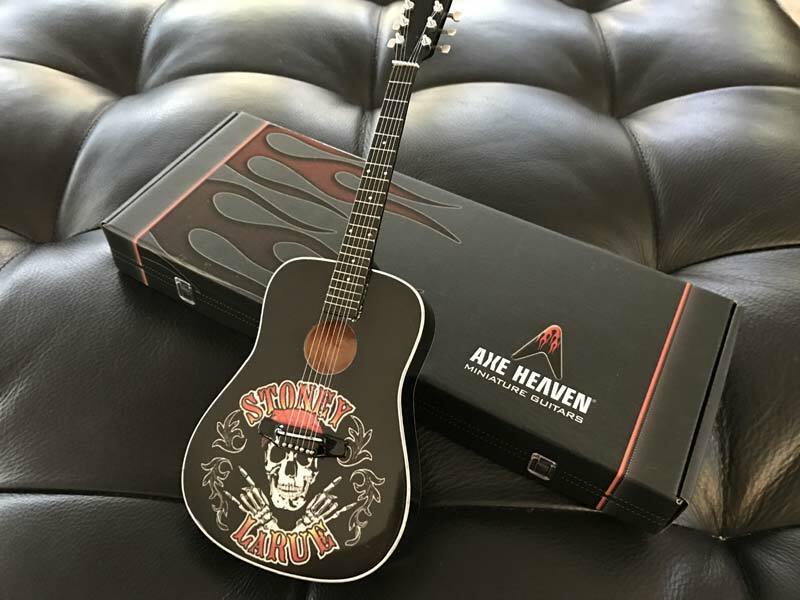 To view examples of promo guitars we’ve created for other musicians, visit Product Licensing.